French Press — Backyard Beans Coffee Co.
**We are using an 8 cup, 34 oz French Press. 1. Get your water boiling. When it does boil, let it sit off boil for 1-2mins. 2.Weigh out 60g of coffee. A level tablespoon is roughly 6g, so 10 tablespoons should do the trick. 3. Grind medium or medium/fine. Grinding coarse for French Press leads to under extracted, sour tasting, weak coffee. 4. 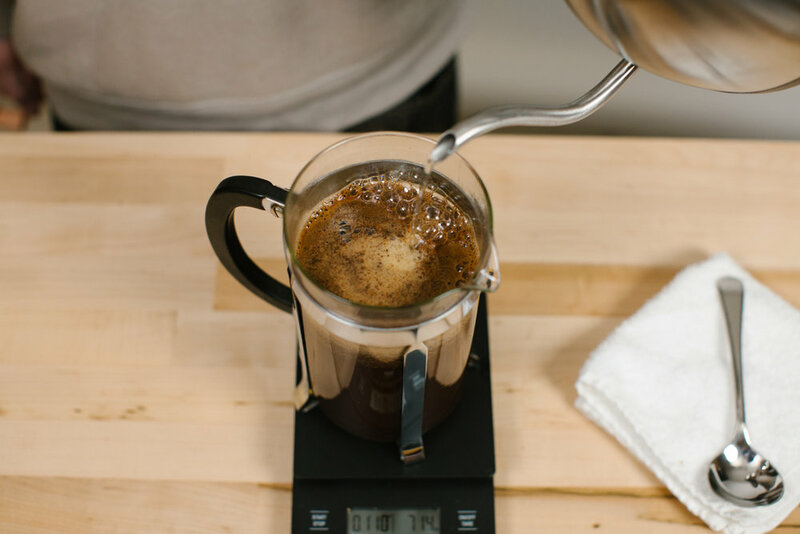 When your water is ready add it to the coffee and fill the cylinder, start a timer. 5. Once the grounds settle to the top give it a good stir to sink the grounds. Don’t break the glass! 6. Apply plunger to trap the heat. 7. At 4 minutes slowly press the plunger down, pour and enjoy! 8. 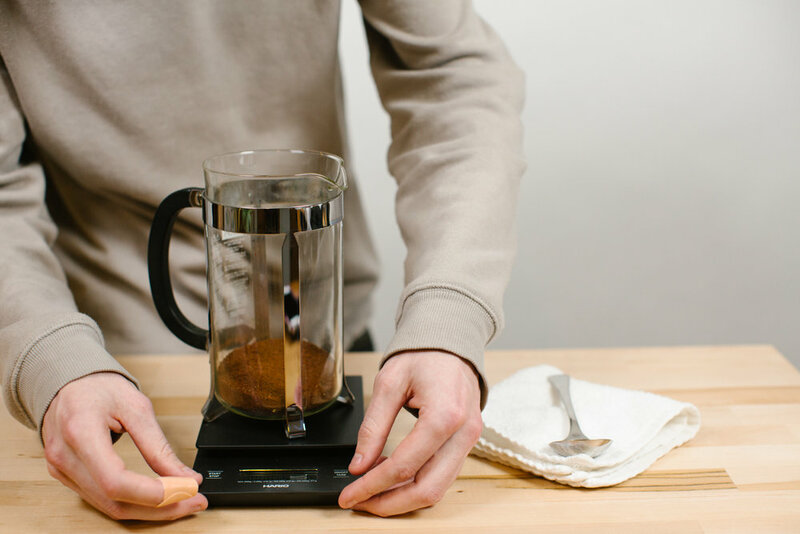 Transfer all coffee from press to carafe or mug to stop the extraction process. You don’t want your 2nd cup to be bitter and over-extracted!